Shortly arriving in Ho Chi Minh City, my husband brought us to Bun Bo Hue 3A3 Restaurant near his office to savour authentic Vietnamese food. Since we were not familiar with the Vietnamese language and its food, we obviously looked at photos on the menu to place our orders. As Bánh Bèo (Steamed Rice Cake) has the look of our Chwee Kueh back home, it can’t possibly go wrong right? 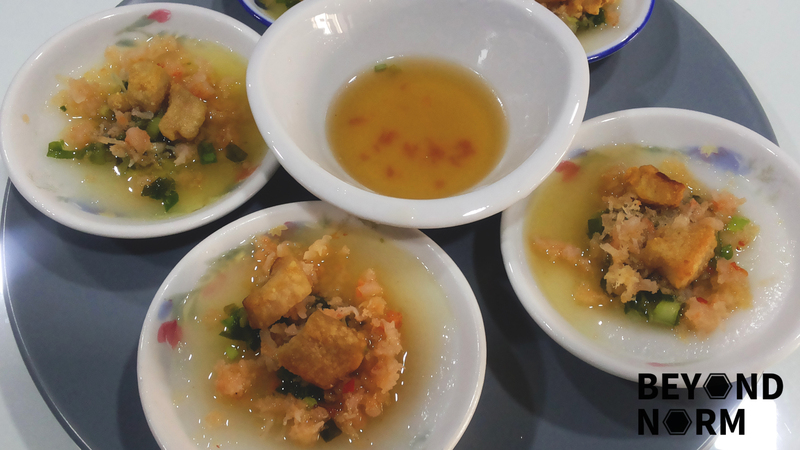 When the Bánh Bèo was served, we were so fascinated by them as they were in little sauce dishes with a simple light fish sauce to go along with. They were indeed love at first bite!! 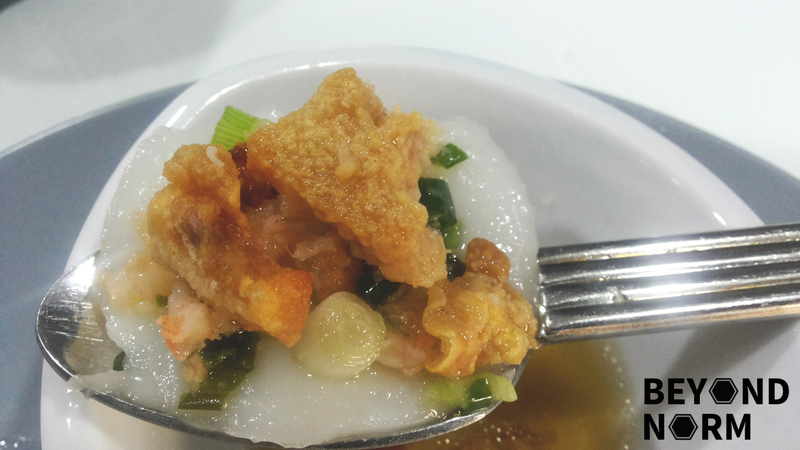 It was so amazingly good that from that day onwards, Bánh Bèo became our son’s favourite food in Ho Chi Minh City. Bánh Bèo originates from the central regions of Vietnam and Hue and can be served in a variety of ways including in a “chen”, a small condiment size bowl, or loose, stacked on a “dia,” or plate. 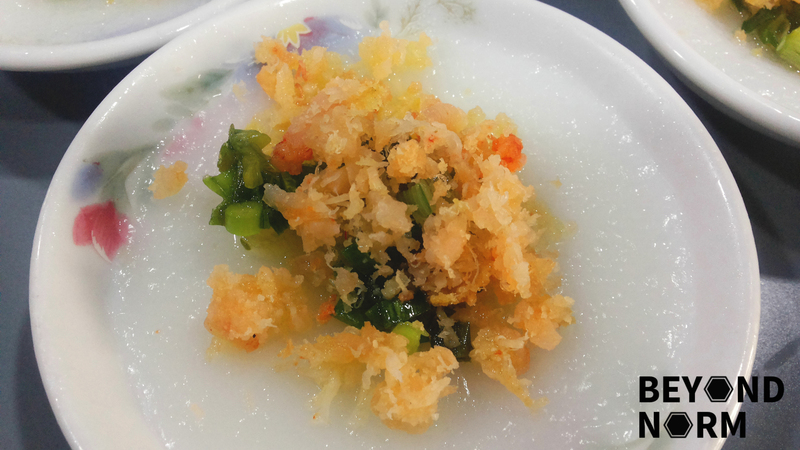 In the mien bac (Northern Vietnam), mung bean paste is also swiped onto the cake before the other toppings. 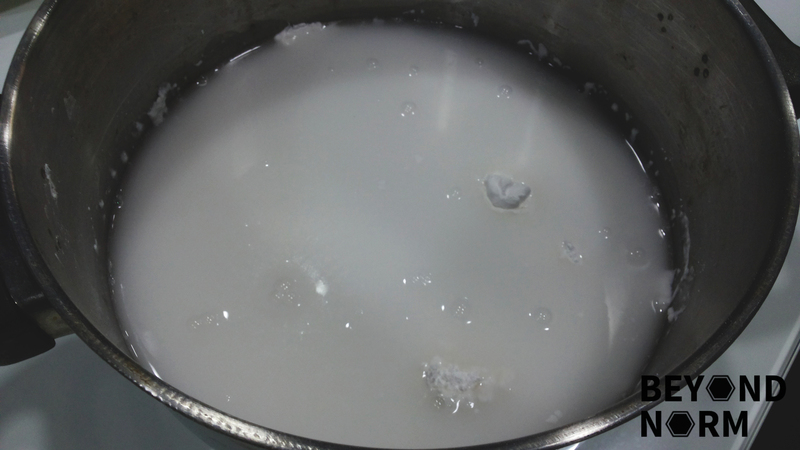 Combine rice flour, tapioca flour, salt and water in a mixing bowl (except oil). Stir well until it is well combined and mixture is free of lumps. Let the batter settle for about an hour or two. You will see a layer of clear water on top of the batter. Pour the clear water to a measuring cup and check the amount of water and discard the water. Replace the same amount of clean water which you have discarded earlier into the batter. Add the oil into the batter and mix well. Allow the batter to sit for at least another half an hour. Shell and devein the prawns. Rinse the shells and the prawns. Bring some water to boil. Add prawns and shell and cook for 3 minutes. When the prawns turns colour remove them from the water. 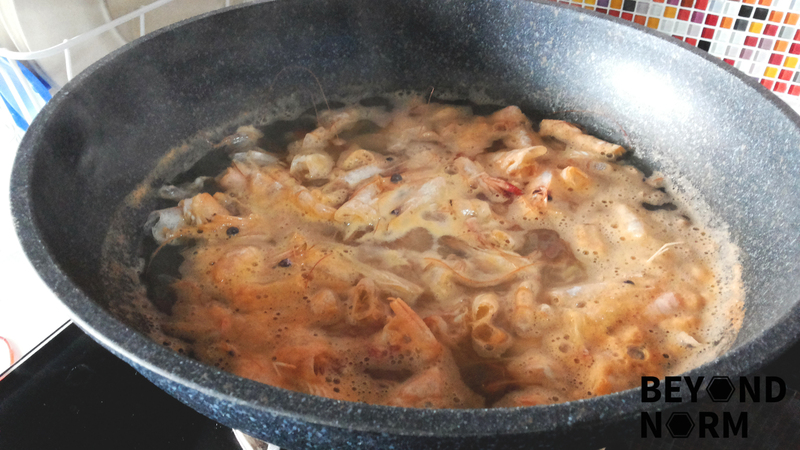 Continue to simmer the prawn shells for another 5 to 8 minutes to make a broth. Reserve the prawn broth to make the dipping sauce. 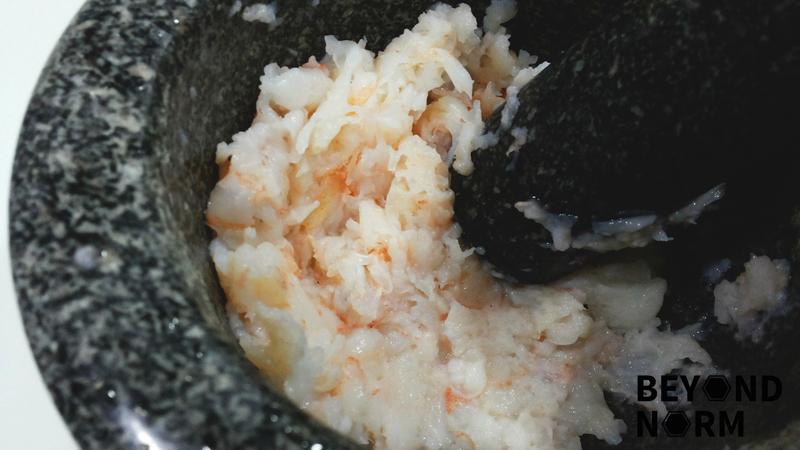 Transfer prawns to a mortar and pestle and pound till crushed. 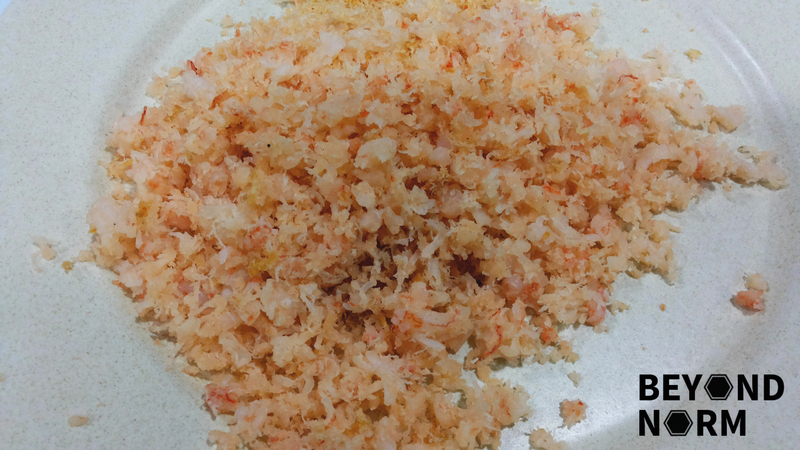 Place a small frying pan on low heat, and add the crushed shrimp. Season lightly with a dash of pepper. Use a spatula to stir for 3 minutes. Use a spatula and press the prawns against the pan and cook for another 4-5 minutes or until the shrimp is dry. Dice the pork fat/rind into small cubes. 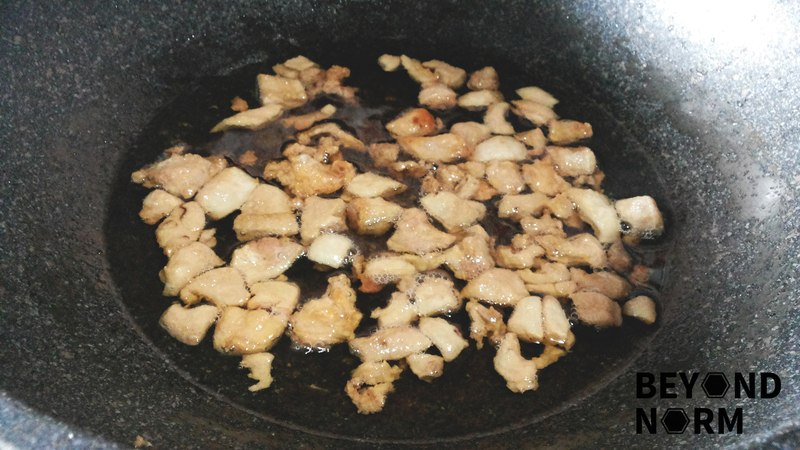 In a pan, on medium heat, add the pork rind/fat cubes and stir occasionally. You will know that it is done, when the pork rind/fat cubes are golden brown. 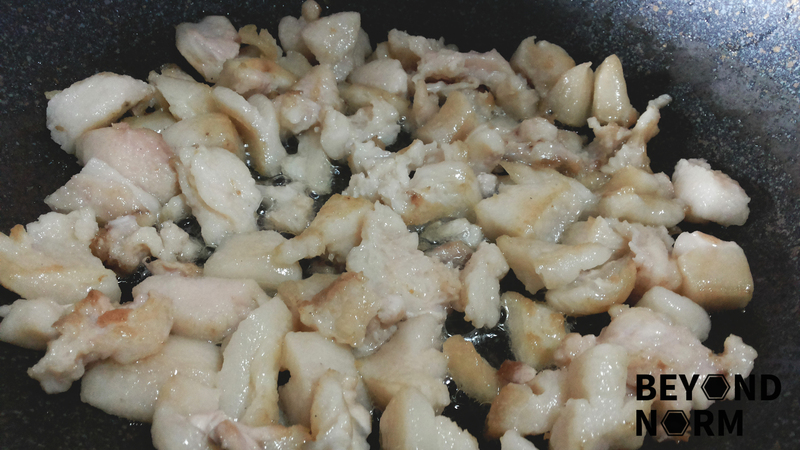 Transfer the ready pork rinds/fats onto a paper towel to drain off the excess fats. Then place the sliced scallions with a pinch of salt in a bowl. Heat a small sauce pan with 2 tablespoons of oil. 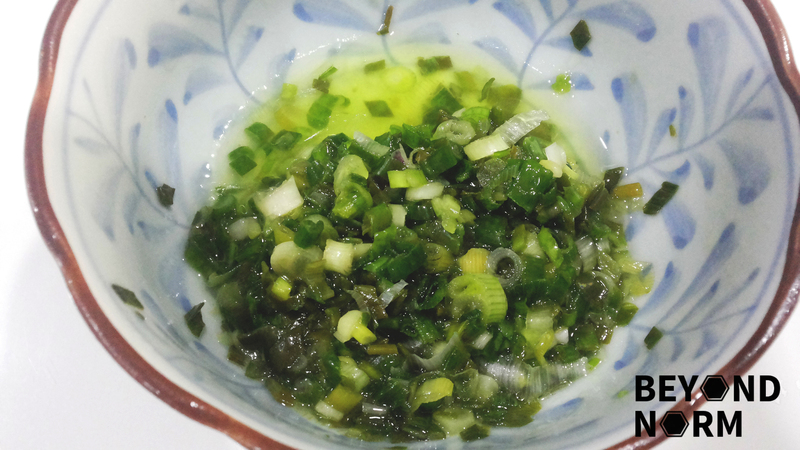 When hot, pour the hot oil into the scallions bowl. Mix it well and set aside. Add all the ingredients for the sauce into a bowl. Mix them well and set aside. Before steaming, you need to stir the flour mixture again because it may have clumped up. Add enough water to your steamer/wok and heat it up. 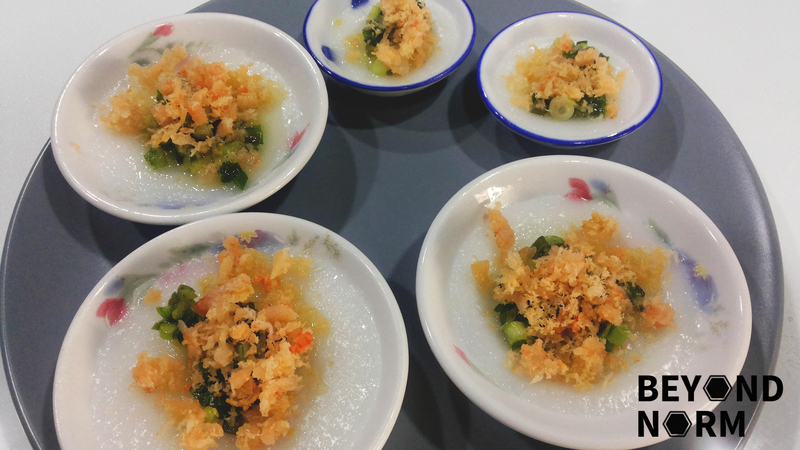 Brush some cooking oil onto the little bowls and ladle in the rice flour mixture. (The amount of rice flour mixture to be used will depend on how thin you like your cakes to be). I filled up 2/3 of the bowls. Transfer to steamer and let cook for about 5 minutes or until cakes are firm. Remove and let it cool a bit. Repeat the process till all the mixture is used up. Top Bánh Bèo with scallion oil, dried prawns and fried fat pork. Drizzle or pour a good dosage of fish sauce on the prepared Bánh Bèo. Scoop it out with a teaspoon and enjoy it!!! The purpose of removing the clear water from the flour and then pouring in the same amount of clean water is to eliminate the smell of old flour, remove any impurities or funky odour. Any leftover fried pork rind/fats can be stored in a glass jar and kept in the refrigerator for a couple of weeks.